If what you're trying to achieve is water and cost savings with an easy, affordable and reliable solution, you'll need a superior range of change over pumps. But if you want to combine the best in water switch equipment with generations of industry experience, service and specialist advice, you'll need nothing but the range of town / tank pumps you see right here at 4 Pumps! So before we get deep into our guide about selecting the perfect water switch solution for your particular application and the Australian market - no matter what it is - let us congratulate you for landing at exactly the right place! Here at 4 Pumps, we advise all sorts of people to start relying on their very own rainwater tank system, whether it's located above the surface or underground, whether it's a slimline tank, and everything else in between. In short, get only the best equipment to switch water supply in the way you need. Why's that? Because while it costs money to use mains water for all of those daily uses like drinking, washing and gardening, tanks are a one-off expense and that wet stuff that falls from the sky is free! Which is great news and your bank account will thank you for it if done right. 4 Pumps has an extensive range of cut in pumps like the latest floatless water switch technology that you can combine with our specialist and friendly advice. So make sure your tank system is ready for when there's plenty in those rainwater tanks or when you need to rely more on the mains, with a superior selection today from 4 Pumps. No matter what position you're in - whether you're looking to water the garden, fill bellies with drinking water in the household, operate a more efficient toilet or laundry or complete a more complex commercial or industrial electronic water supply issue. You'll need a sewage pump for the waste tho. - 4 Pumps' range of change over pumps is the answer. We'll help you with all the pump select options that will ensure what you get out of the box is exactly what you needed. We stock only the best quality equipment supplied by the very best brands in the business, like Onga, the brilliant Iso series range from Davey, and plenty of others across the entire spectrum of your automatic water pump needs, from Pentair to hard-working submersible pumps, multi stage pumps and everything in between. And whether you need a little assistance to select options Onga recommends for your town/tank pump setup, or anything else that is on your mind, never hesitate to get in touch with the friendly team at 4 Pumps so we can follow some rules to ensure a great future. When people or businesses are looking to operate as efficiently and 'green' as possible, we always recommend a town/tank pump kit for harvesting rainwater. That's because you can make the most of what nature gives us for free - rainwater - delivered to your garden, home or premises with the correct water pressure bar when you need it. But while this rainwater harvesting is great for the planet and even better for your hip pocket, a town/tank pump means that when you need it, mains water is always ready as well. You'll find Onga, Sparkle, Bianco, Hyjet and many other varieties of water switches and pumps in our range, all ready to work hard, with a great warranty, and coming with 4 Pumps' years of friendly industry experience and advice that we provide at no extra cost! When it comes to combining only the most tried and tested products with friendly and expert guidance, we are the best dealer in town! So never be shy to get in contact and see how 4 Pumps can help you match a high quality, reliable town/tank pump with your particular needs. 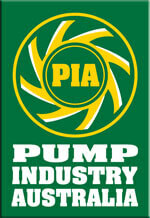 Our team provides advice on all sorts of water pumps, no matter what product you have your eye on in the range. Our town/tank pump specialists are fully up to date with all of the technical data, meaning no question about product, installation or just how that control switch really works will leave us stumped! That's because, as with any technical piece of equipment like town/tank pumps, it's so important to make sure you're getting exactly what you need to get your job done well and efficiently. Town/tank pumps are an increasingly popular solution across domestic and commercial applications, because you can do your watering using that most natural of resources - rainfall - whilst always knowing that you are safe and secure with easy and efficient town water or mains access when you need it. Town/tank pumps are simply the best of both worlds when it comes to reliable, affordable and efficient water supply. Similarly to the pumps used to increase water pressure. As Australia's biggest and best online supplier of water pump equipment, we know better than most exactly what you want and need from your town/tank pump without the need to login, register or sign up and open an account. You want something that will switch between tank and mains supply the way you need it to and to be top quality and energy efficient, but only with the right amount of power supply for your particular application, whether domestic, commercial or even industrial without drawing too much current. So no matter the level of the job you need doing, an electric electronic town/tank pump switch from the 4 Pumps range will be the solution. You can rely on the fact that everything in the range will do your water switching quickly and efficiently, while you sit back and know that you're not wasting a drop or going to be left high and dry. A specialist, in-tank pump solution is also the safe option, so that electrical cable is not accessible by animals or children. There are so many reasons you grab a great town/tank pump from 4 Pumps! As we've mentioned, your new town/tank pump solution can be used for your domestic watering and gardening, or inside your home for toilets and washing machines. When those rain water tanks run out, an automatic or manual connection device means those appliances will continue to work in mains water mode. It's that simple! And in many cases, when you want to do water supply switching, local councils will actually require you to have an automatic system set up. And with every feature, switch control unit, level sensor, auto backflow prevention device, union, floatless mains switch, valve and outlet on your town/tank pump working reliably, 365 days of the year, you can ensure your water use is cut down by as much as 50%, just by choosing from the products in the 4 Pumps range. To put it simply, the 4 Pumps range was designed with you in mind - whoever you are! As experts and leaders in the water pumps industry for years, we understand how frustrating it is to arrive at an equipment range online and wonder if what you're buying is the right gear for the right job. So our range of town/tank pumps is expertly compiled to meet the needs of every single potential client. Whether it's a base level town to tank water switch you need for those everyday residential site applications, or a more complex system or fitting for a hard-working industrial need, you will find it in the big range right here at 4 Pumps. So reset your expectations and starting browsing today at 4 Pumps! How does that automatic switching device work? Usually, operation of the town/tank pump uses a float switch which detects the pressure and keeps that water flowing continuously from the necessary source, letting you get on with your day and your life without worrying about where the next drop is coming from. So whether at the push of a mode button or a fully automated process involving a water level sensor, the smooth operation of your town/tank pump will mean water is flowing freely and efficiently day in and day out, and often in the harshest of operating conditions here in Australia. Undoubtedly, the best thing about the smooth operation of that town/tank pump is that it manages to supply water in the way you need it in the most cost-effective and efficient manner possible for your requirements. These days, with water resources scant and the importance of using money wisely bigger than ever, the correct installation of exactly the town/tank pump you need is one of the easiest ways to make your house or business more efficient. As with all your water pumping and plumbing infrastructure, it's one thing to get the right specifications, but quite another to ensure that you have equipment that is impeccably high quality and truly reliable. That's because systems need to cope with low and high pressure, year-round and in tough working conditions, so the only smart choice both today and tomorrow is premium quality gear that won't let you down. And that's all you'll find in the 4 Pumps range of town/tank pumps and accessories. Within this often highly sophisticated world of water tank and mains water equipment, a deep knowledge in all areas of what's being offered is nothing short of crucial, for the prevention of problems and efficient and reliable operation. The 4 Pumps team relies upon literally dozens of years of first-hand experience and research to present the range of town/tank water tank pumps you see here. Every brand is hand-picked, whether it's the mains water controller, a fully submersible multistage system, or the hardiest pump system and control electric switch on the market, brands like Davey Rainbank, Onga, Dab, Sparkle and Bianco simply cannot be beaten and they repay us that respect by making 4 Pumps their chosen official supplier. And why do we choose them as the pick of the crop for our premium range of town/tank pumps and accessories? Everything you see in the range comes with an amazing warranty, is made from only the finest materials in the industry including stainless steel and ceramic/carbon, features state of the art features like double ball bearings and runs efficiently and quietly. Allied with 4 Pumps' round-the-clock specialist advice, services and technical support, and engineering designed to keep running powerfully for years, you really need to view and can't skip past our range of town/tank pumps. So don't make the choice between rainwater and mains, and expertly and efficiently combine the two. 4 Pumps makes it possible by stocking a premium range of town/tank pumps alongside all the other unit electronic accessories and water pumps in Australia's largest water equipment supplier online. For your garden, house, commercial setting or even complex industrial applications, you will find a solution right here thanks to great brands like Onga, Sparkle, Bianco, Davey and more, combined with excellent support, knowledge and advice based on 4 Pumps' years in the water pump trade. With the town/tank pumps you see in the 4 Pumps range, every sort of rainwater tank can be sorted with a mains supply switching solution. We're talking about slimline tanks, round tanks, squat tanks, poly tanks and even underground tanks, where the changeover to mains supply is smooth and reliable, every single time giving you security over your water delivery into the future. All you need to do is select options that are perfect for your application. The overflow can drain into a stormwater pit to on from there. - perhaps after seeking expert advice from the experienced 4 Pumps team - and we'll do the rest, getting your new town/tank pump and accessories to you in no time, ready to work straight out of the box. So that's about it from us as we bring you this comprehensive guide to getting exactly the town/tank pumps you need from 4 Pumps. Get the pump select, discerning and returning customers always choose right here, making sure your water tank to mains switching is done right and done to last. Don't let that flow of water run out, and stay as efficient and cost-effective as these modern times require, and complete your project with a superb-quality, smooth-running and long-lasting town/tank pump from our great range.